Firewalking: the ultimate team event for facing your fears, team bonding, challenging limiting beliefs and realising your true potential. Walking across a fire bed of red hot burning coals with temperatures soaring above 500° Celsius is one of the toughest mind in matter challenges that we offer. Corporate Firewalking is also one of the most rewarding. Our unique approach will train your team to undertake this challenge in a safe and empowering manner that will have great benefits for them as individuals and as a team. When you are standing there, facing the fire, it is your opportunity to become aware of what is going on around you and within you. With your heightened awareness you can make the decision to walk across the fire, or not, should that be the case. Deciding not to do something is as powerful as deciding to do something, as long as the decision is yours and not decided by your limiting beliefs. Firewalking is a powerful metaphor for addressing your fears and limiting beliefs. Making a decision that is frightening, and following through with it, is empowering and the feelings will not be forgotten. Of course, if you have the time, you should plan for a full day event where your team can do a number of these activities in the lead-up to the Firewalk. We will help you plan this event to ensure we create the right atmosphere for your team thus ensuring they have a rewarding experience. 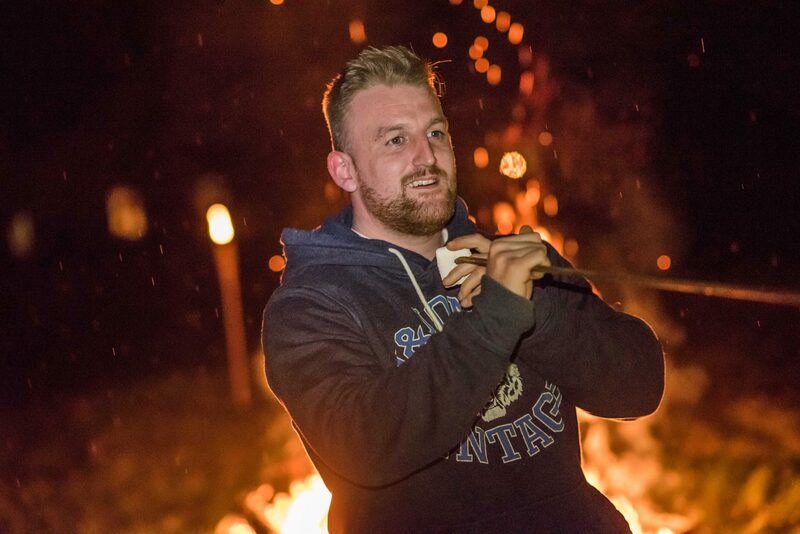 Corporate Firewalking is a perfect, stand alone activity, and it is easily complemented with Rebar Bending, Arrow Snapping, Walking on Glass and Board Breaking.